Finally I was able to climb in the Verto S6K Extreme for two days in Canada, where the temperature dropped to -15 (Murchison Falls and Slipstream). Therefore, it will not be reviewed Verto S6K extreme, but rather a "first impression" of their use. Therefore, all observations are based on two days of use, so they can still change. On the right you will probably review to wait until next winter. Best-in-class, fully compatible with crampons, boots to acquire the highest mountain peaks. Have drawn pads, gaiters, waterproof membrane HydroSeal®, isolation of aero-gel for added thermal protection and CRADLE ™ technology. Smartlite® mud guards are lighter and more protected than rubber. They have the best-in-class EVA insert Northotic ™ Pro + gel in the heel. Of course, the first thing you do with shoes that weigh:-). The manufacturer says the size 9 (EU 42) weight 1010 grams (one shoe). My shoe size 10.5 (44) weighs 1154 grams (323 grams for inner boot), which is a good result for the inner boots. Other Shoes La Sportiva Spantik 1261 play, La Sportiva Baruntse 1267 grams, Scarpa Phantom 6000 1000 grams. Weight probably given for the number 42. I suggest buying the shoe about half a centimeter buy a bigger size than we have foot. However, this may change, if the shoe a little break. The North Face company began producing shoes in winter alpine 2011/12. She began by Verto S4K GTX model. Then came Verto S6K GTX dedicated to higher altitudes (about 6,000 meters). Then Verto S6K Extreme (more armored model of internal booties). The series closes Verto S8K dedicated to eight-thousanders. S6K Verto is the third model in the order, designed for multi-day winter climbing to the tops of the surrounding 6000 meters. From its predecessor Verto Glacier GTX S6K it varies a lot: inner boots internal Geiter material (zipped), different design and colors. Common elements is known to be the sole, rubber rim, the shape of the hoof, and probably several design solutions invisible from the outside. But overall it is warmer than a single layer Verto S6K. This provides a two-layer construction of the shoe uppers, a thicker sole, and 200 grams PrimaLoft (in Verto S6K was Thinsulate heat insulation). At -15 did not feel cold feet. Typical today, covering to protect against moisture is zip lining. Upper is made of ballistic nylon (the strongest nylon fabric on the market). At the top of the upper is stitched rubber rim that protects from falling snow. The whole coated PU (polyurethane) to increase water resistance. Large waterproof YKK went quite hard at the beginning, so I decided to treat it with silicone grease, which greatly helped in his fasten;). 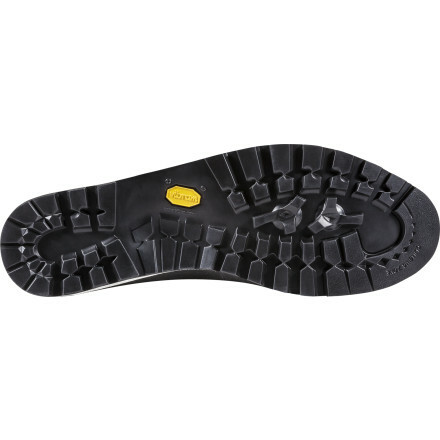 Vibram sole has a fairly deep tread well adapted for walking on snow. In case we had to climb in them, we have called on the tip of the shoe. "Climbing Zone". A similar outsole is in Verto S6K GTX, so it looks like it will be good to keep the snow and rock. The depreciation is "EVA Northotic ™ Pro + with gel heel, shock-absorbing Ortholite ™ panels at the height of the forefoot and a stabilizing TPU Cradle ™ technology." Without going into the technical details, refer to the manufacturer's website. Of course, we can pin automatic crampons. Personally, I use BD Cyborg crampons that sit on them stable. Mounted over a fairly wide sole with rubber rim to prevent wet and mechanical damage. Front of the shoe is lined with black leatherette. Lace-up boots are insulated with 200 grams PrimaLoft + AEROTHERM technology is used. They have laces with locking clip that easily lock / unlock with gloves. Inner boot has a pad under the foot. In general, the order of lacing in the Verto S6K Extreme, is as follows. Inner boot first, then the ordinary in the shoe lacing and Velcro fastening ankle stabilizer. The shoe has a wide belt loops, we can catch gloves to hold the shoe when inserting Botka (founded on foot). Naturally there will be a convenient carabiner to attach shoes, to the position. Inner boot is quite soft, so if you put your foot booties established, it often does not fit well. Ideally put inner boot so earlier, and then the foot. For two days in ice climbing shoes in terms of thermals were doing great. At minus 15 ° C and thin socks did not feel cold. It's in them as well (of course, not like the Verto Glacier S6K), and climbing in the ice went well enough. As for my taste might be a bit stiffer (higher bond laces) so would be less tired in the Alpine ice. 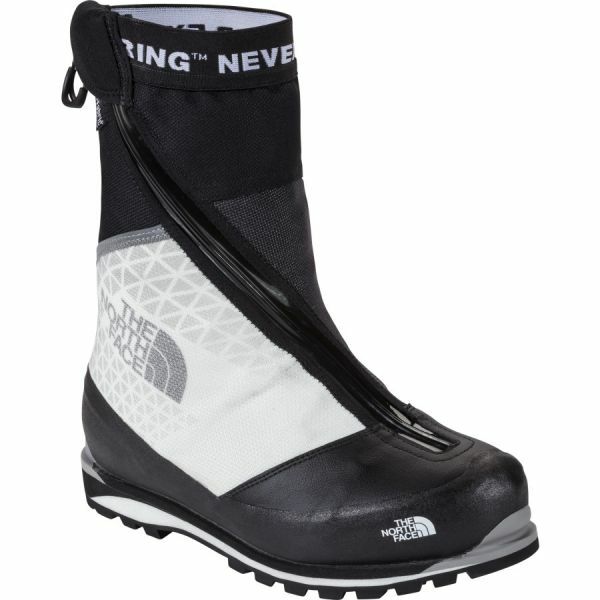 In conclusion, TNF Verto S6K Extreme promises to be a successful alpine boot. It should be appreciated by all those who are planning multi day of climbing or climbing in winter frosts stout. At the end of the coming winter will get probably have a full review, so please be patient.